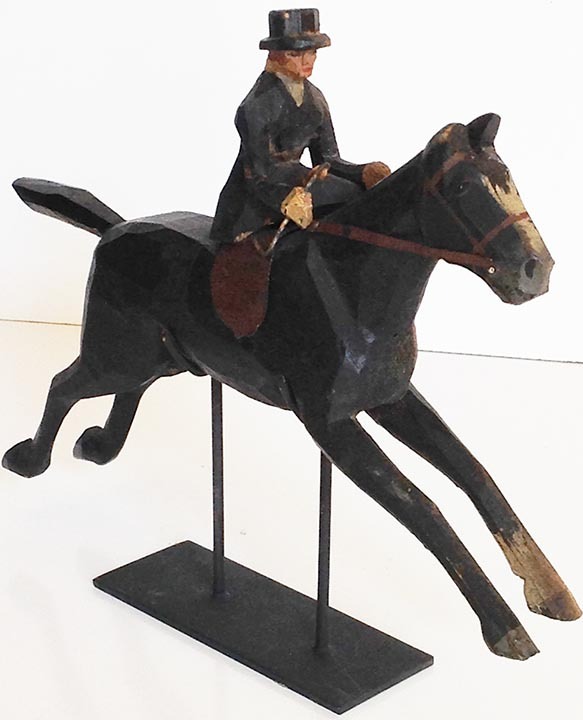 This folk art carving is of a lady riding sidesaddle on a galloping steed. 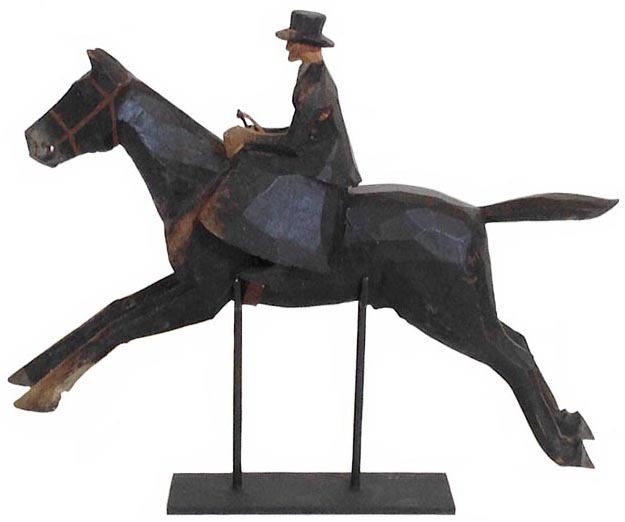 The lady is wearing a hat and wearing a skirt with riding jacket while holding the reins. This piece has a marvelous early surface of oxidized poly-chrome paint. 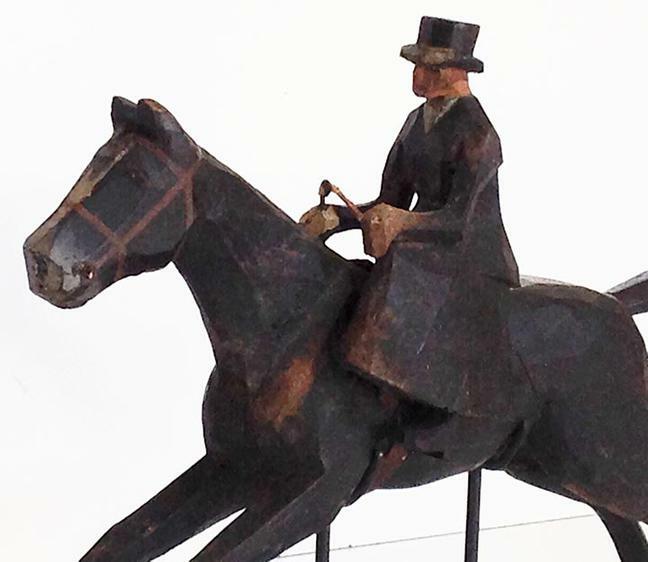 A fine carving and a great piece of folk art. It comes with a custom made stand for display. 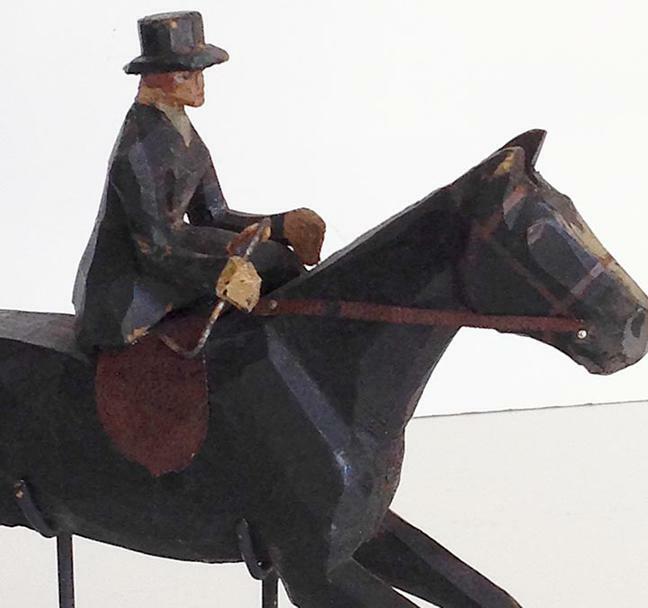 Measuring just 8.5" long (hoof to hoof) by 2.25" in width by 7" tall (from base to top of hat).